2. 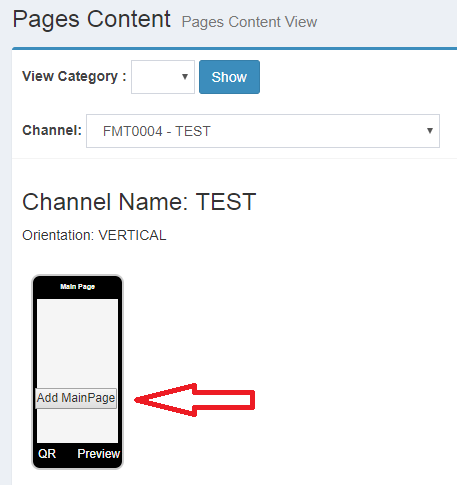 To create a main page for your content, go to Content Management click on Interactive menu and choose Pages Content. 3. 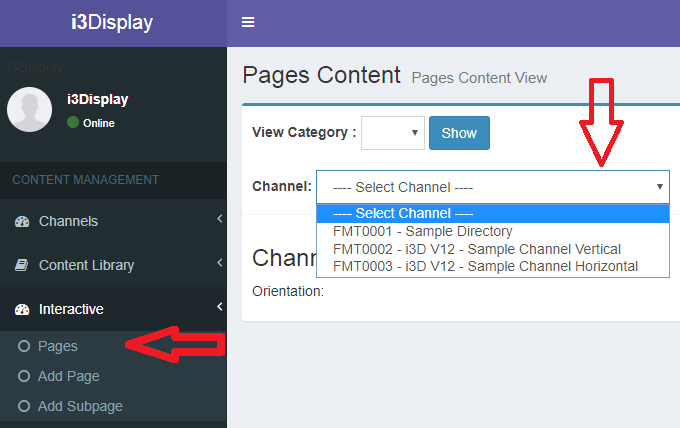 Go to the Channel column and click on it to select your channel. 4. Scroll to find the title of your channel/project created and click on it. 5. Click on the Add Main Page button. 6. 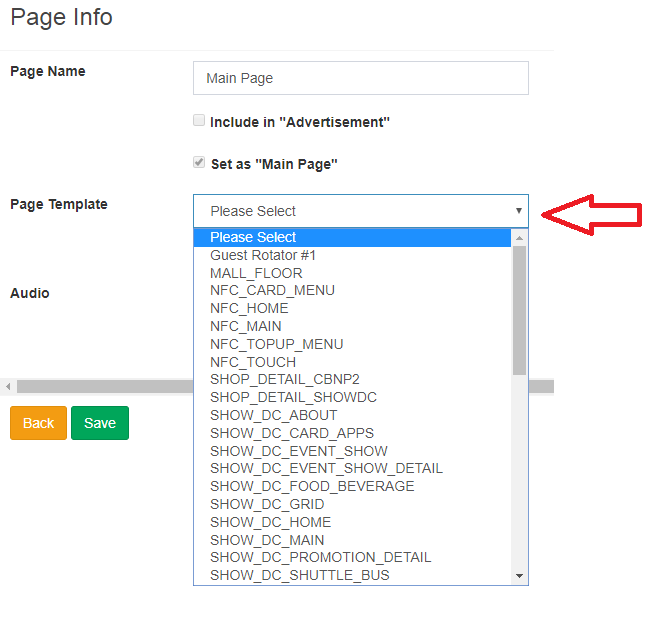 You will need to update your page by selecting a page template at the Page Template column.